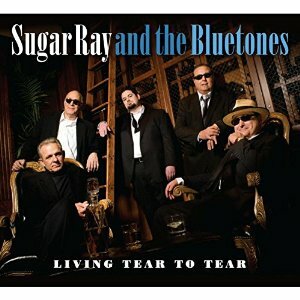 Sugar Ray and the Bluetones have been doling out their distinctive brand of blues from the Northeast for over 35 years, and they are playing stronger than ever as evidenced by their latest Severn Records release, Living Tear to Tear. Their sound is a fun blend of harmonica and piano heavy Chicago-influenced blues with some amazingly rocking guitar. The overall effect is timeless and this album could have been recorded fifty years ago, except that modern production values lend it a crystal-clear listening quality. None of these guys have limited their careers to what they do with the Bluetones, however. The Grammy-nominated singer and harpman, Sugar Ray Norcia, did seven years with Rhode Island’s storied Roomful of Blues and has appeared on over 50 albums with artists as diverse as Ronnie Earl, Otis Grand, Ann Peebles, Jimmy Rogers, Pinetop Perkins, J. Geils, Sax Gordon and Duke Robillard. He is joined on this disc by Monster Mike Welch on guitar, Mudcat Ward on bass, Neil Garouvin on drums, and Grammy-nominee Anthony (no nickname) Geraci on the piano. These musicians have performed with Big Mama Thornton, Hubert Sumlin, John Hammond, Johnny Winter, Otis Grand, The Mannish Boys, Sugaray Rayford, and Debbie Davies, to name just a few. Living Tear to Tear was recorded at Severn Studios in Annapolis, Maryland, and is an hour-long show of solid blues split up into 12 tracks. These are mostly original tunes penned by Norcia, Welch, Ward, and Geraci, as well as a few well-played covers. They kick off the set with one of the originals, “Rat Trap,” and right away their decades of experience shows as they proceed to tear the roof off the house. Sugar Ray’s harmonica tone and timing are perfect and it is apparent why he is a first-call harp player. His vocals are throaty and Welch’s guitar work is as clear as a bell. 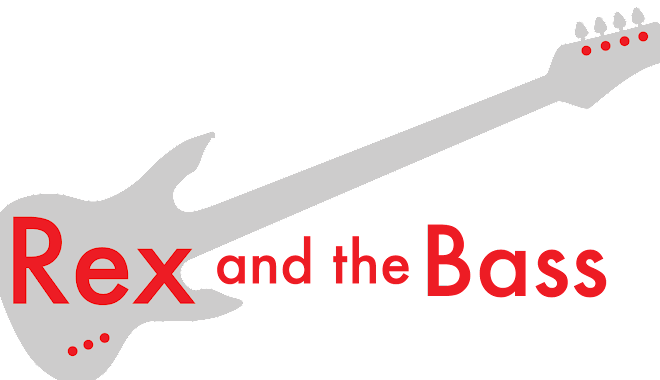 The band slows things down for “Here We Go” and Monster Mike (nicknamed by Dan Ackroyd) adds a little reverb to the guitar while the rock solid backline of Ward and Garouvin (Groovin!) keeps the beat steady. Geraci cuts loose on the keys while Sugar Ray does a good horn substitute with his harmonica on “Things Could Be Worse,” which is a good reminder for all of us. “Misery” is the longest tune on Tear to Tear, coming in at over eight minutes, and they picked a good song to cut loose on, as this slow-roller brings all of the finer elements of this quintet into play. The lyrics are indeed full of misery as Norcia promises to “…sit here and keep on drinkin’, till I drink my baby off my mind (you might have to cut me off this time).” Welch throws down his best solo of the album on this track, and that is saying something! This is the standout track of the release, with “I Dreamed Last Night” and its wonderful piano from Geraci taking a close second place. The cover tunes are as well done as the originals. Sonny Boy Williamson’s “Ninety Nine” is a respectful take on the original and it is a delightful romp with subtle guitar work from Monster Mike behind a harmonica-heavy front end. And Lightnin’ Slim’s “Nothing but the Devil” (which was also done well by Rory Gallagher), closes out the set with distorted and growly vocals, bar room piano and the classic story of a man done wrong. Sugar Ray and the Bluetones’ Living Tear to Tear is one of the best new albums of any genre that I have heard in the past year, with stellar performances from each of the five artists on the bill. It is a must-buy if you like classic harmonica-soaked Midwestern blues, so check it out and see for yourself -- you will not be disappointed!